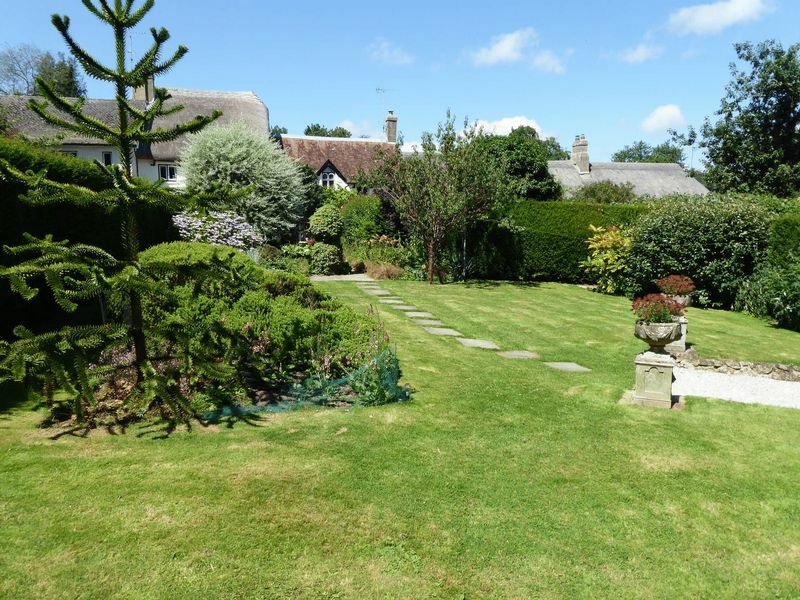 Land Of c. 2.8 Acres Nearby With Paddocks, Stables & Stream Available Separately. PICTURESQUE Grade II Listed part thatched cottage with DELIGHTFUL extensive GARDENS, set in the heart of Dartmoor National Park just 1.5 miles from CHAGFORD. 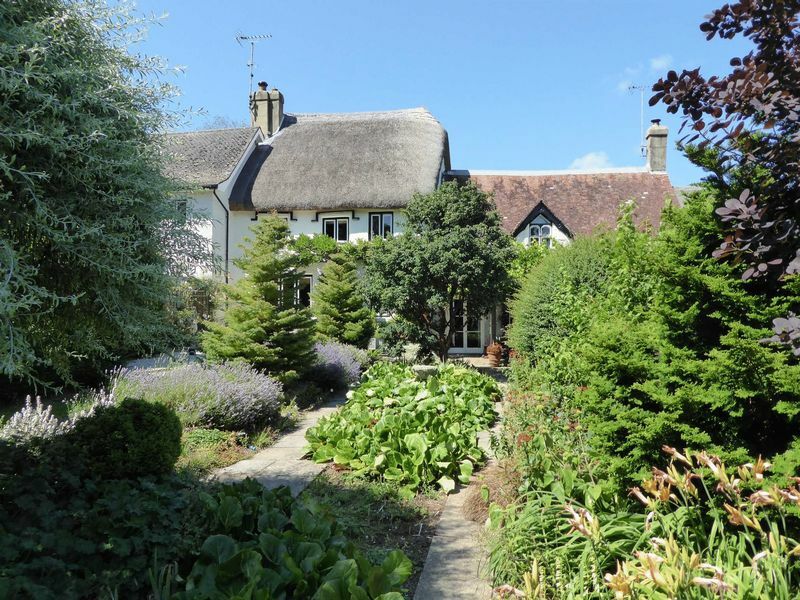 Set in the tiny HISTORIC HAMLET of Murchington, this CHARACTERFUL l well-presented period home is thought to date from the 17th Century. 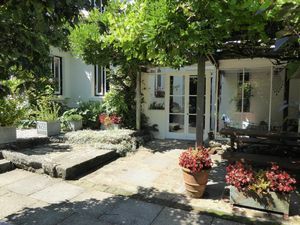 In a tucked away location the cottage is approached over a long shared private drive leading to parking by the garage and store, below which is a well-tended vegetable garden. 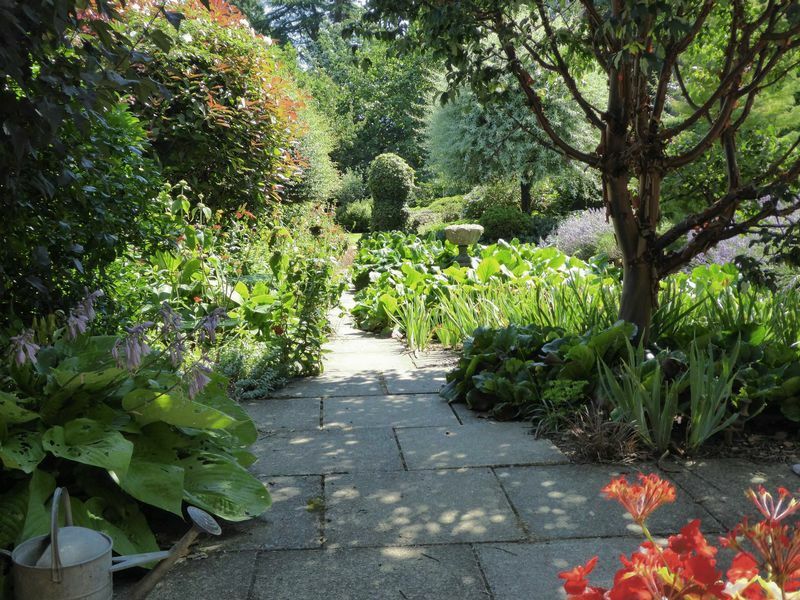 Across the lane gates open to the extensive South facing gardens to the front, which are a gardener’s paradise. 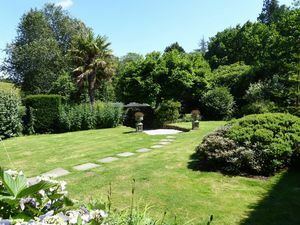 The property, which is the middle of three attached properties, is approached by a path leading through the gardens passing a seating pergola to the front door leading to a garden room, providing a delightful seating area overlooking the gardens. 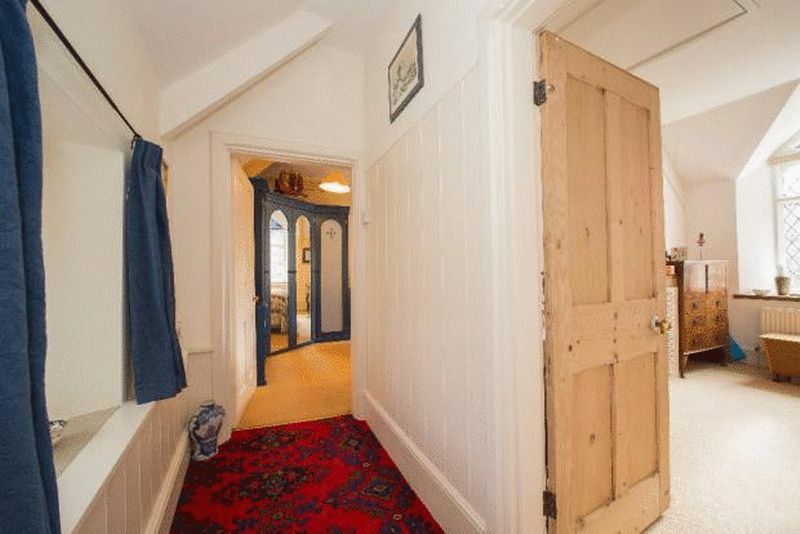 Attractive hall with period Victorian encaustic tiled floor. 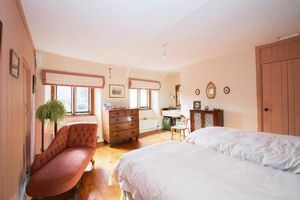 Extensive living/dining room with an impressive granite period fire place, with wood burning stove and bread oven and deep bay window looking out to the gardens. 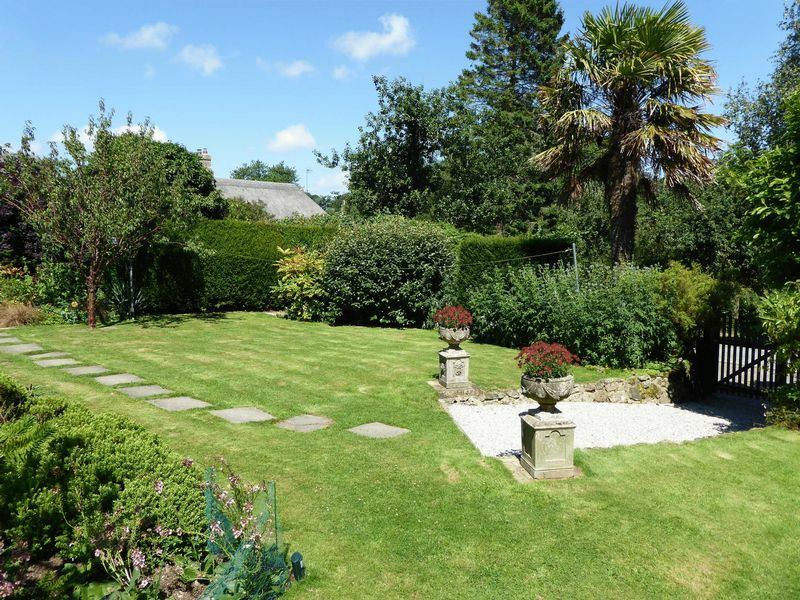 The four bedrooms all enjoy the views across the gardens to the woodland and countryside of the Dartmoor National Park beyond. This appealing character cottage is set just 1.5 miles from the popular and historic market town of Chagford, offering a wide variety of shops, public houses, restaurants, galleries, antique shops as well as a primary school among other facilities. 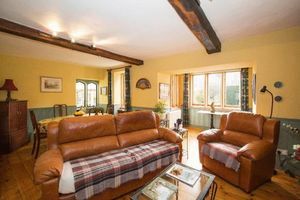 There are delightful walks from the property; the river being easy walking distance, and the open moors of Dartmoor are also within easy reach. The property is within about 15 minutes’ drive of the A30 dual carriageway, giving access to Exeter and West into Cornwall. Floor mounted boiler. Space and plumbing for freezer and washing machine. Radiator. Stairs rising to first floor. Doors to kitchen and living room. Door into pantry. 20' 5'' x 19' 11'' (6.22m x 6.07m) MAX. Radiator. 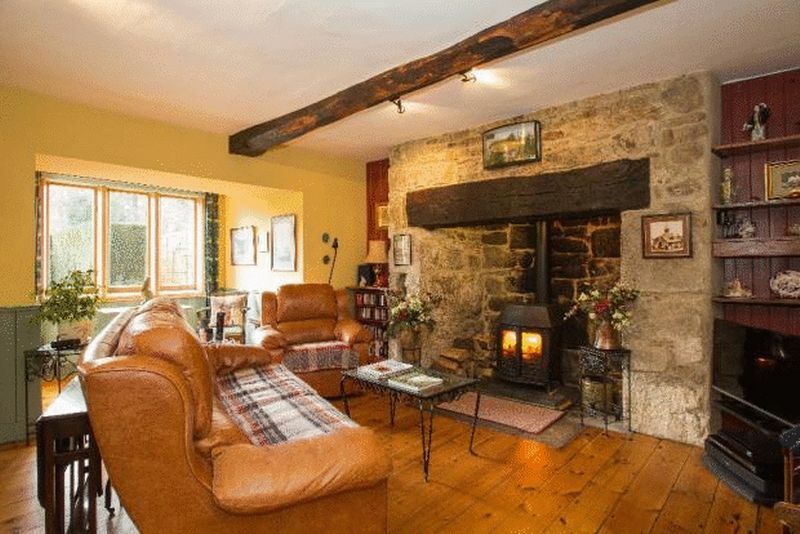 Granite fire place with wood burner and bread oven. Two windows to front. Two windows to side. 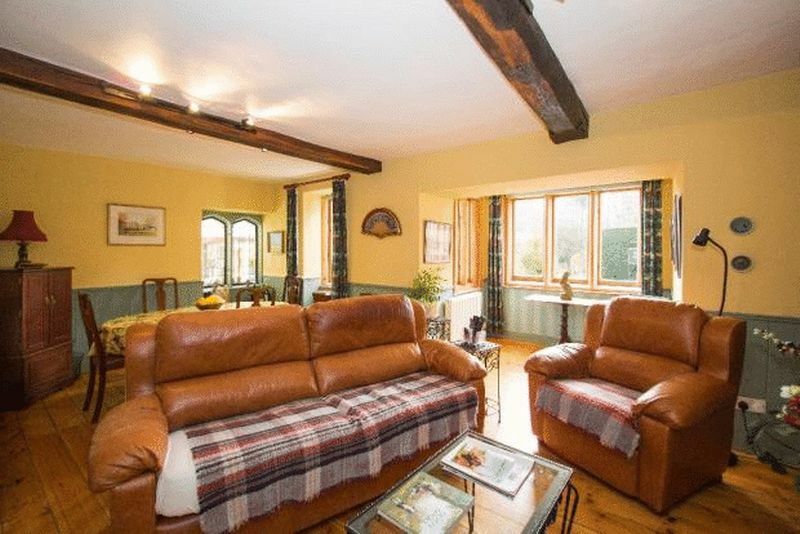 Wooden beams. Window to rear. Belfast sink with mixer taps over. Space and plumbing for fridge and dish washer. Radiator. 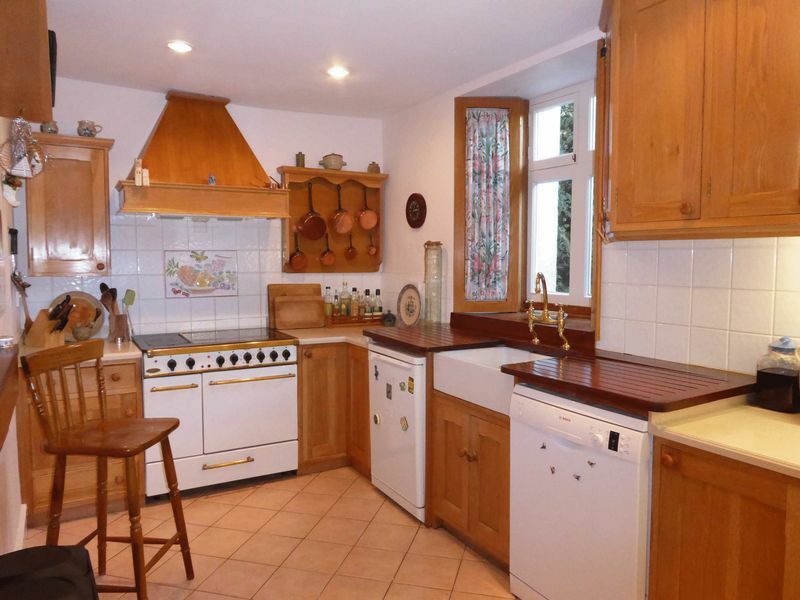 Space for double cooker. Range of base and eye-level bespoke oak cupboards with corian work surfaces. Window to rear. Doors leading to two bedrooms, bathroom and WC. Two storage cupboards with shelving. 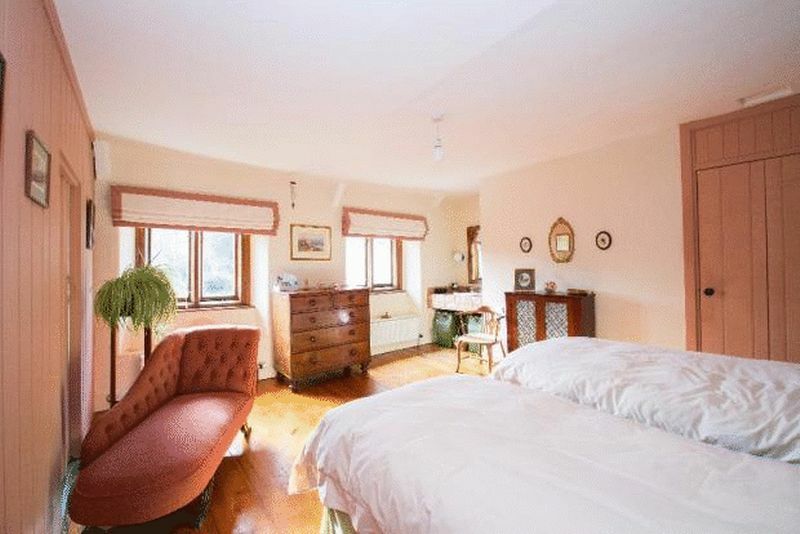 Two windows to front overlooking garden. Sink with hot and cold taps over. Built in wardrobe. Two radiators. Window to rear. Doors leading to two bedrooms, bathroom and WC. Two storage cupboards with shelving. Unused door to bedroom 4. Window to rear. Panel enclosed bath with shower attachment. Sink with pedestal, hot and cold taps over. 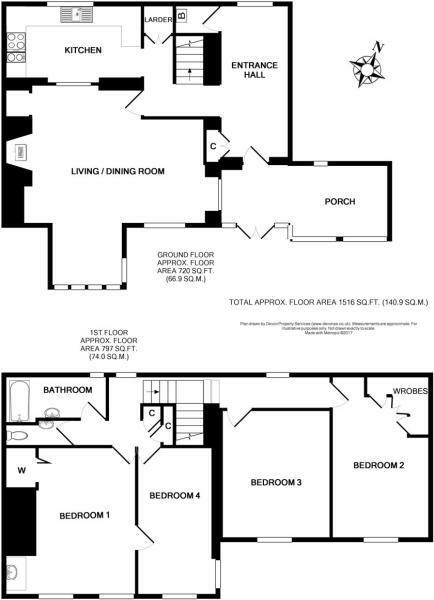 Separate low-level WC; access to loft one with electric light. Window to front. Radiator. Access to floored loft with electric light. Window to front. Built in wardrobes. Radiator. 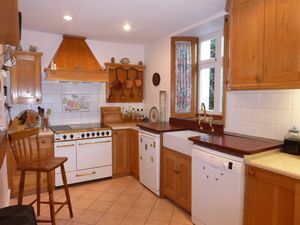 Built in cupboard. 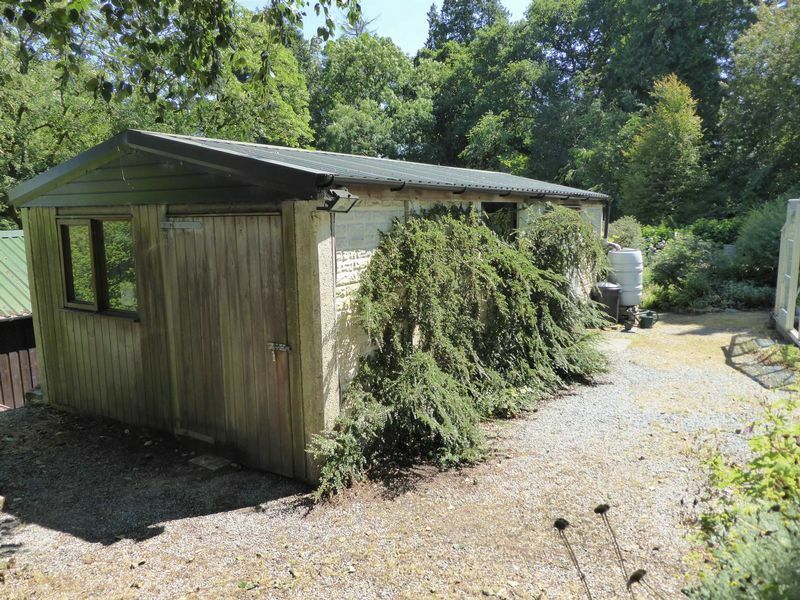 The property is approached from the road by a long shared private drive leading to off road parking for two cars and the former GARAGE/STORE the front part of which is now a workshop with a store room to the rear but could easily be turned back into a garage. Adjoining this is a LOG STORE. 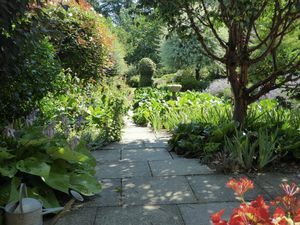 A path leads down into the VEGETABLE GARDEN with a GREENHOUSE, raised beds and further growing areas. 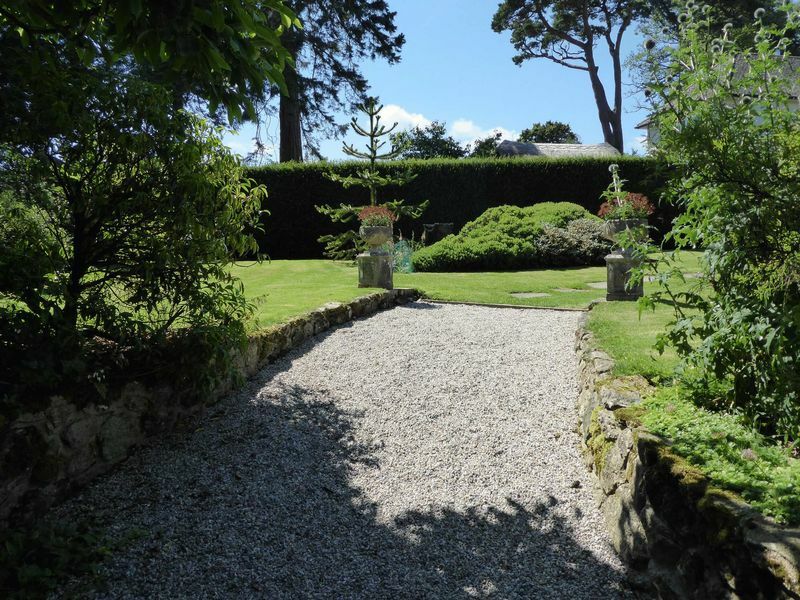 Across the drive double wooden gates open into the main GARDENS which are beautifully kept and a real feature of the property. They are south facing and lie to the front of the cottage. 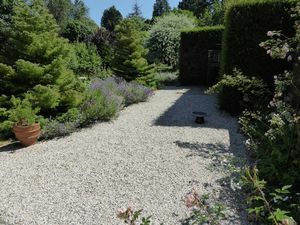 A path leads across level lawns with hedge boundaries and well stocked flower beds to a Mediterranean style garden area with extensive plantings, a graveled terrace pergola and lead to the front door. 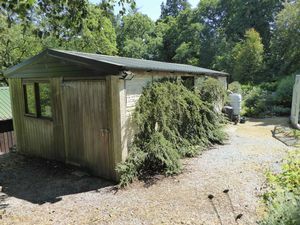 West Devon Borough Council and Dartmoor National Park Authority. Mains electricity, shared private well water supply, shared private drainage. Oil fired heating. 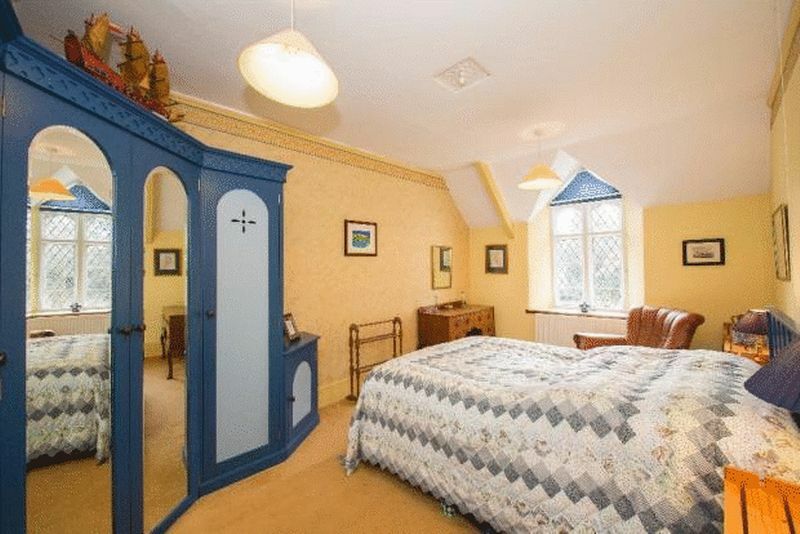 There is a flying freehold over the neighbouring cottage in bedroom two. A truly delightful area of land located just a few minutes down the road comprises about 2.8 acres with well maintained paddocks,purpose built timber stable block with two stables and feed store, turnout, natural water supply and long stream frontage on the Blackaton Brook of over 170 metres. Available by separate negotiation.